Life's a beach, especially for the guys who work on it. Red photographs beautifully! It's an eye-catching scene that you photographed so well!. 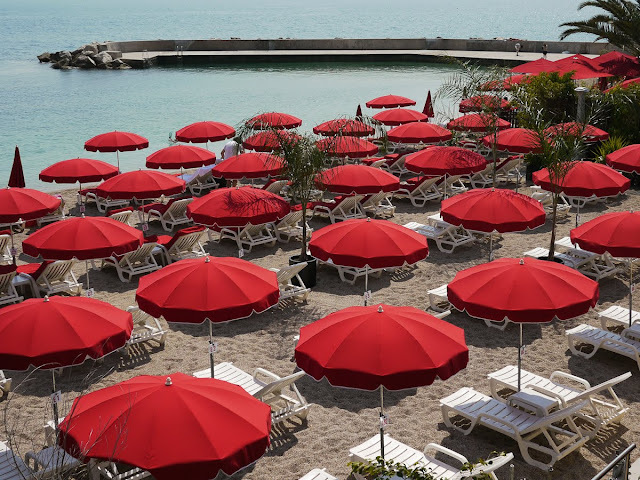 a great composition seeing all that "Red" very inviting postcard kind of photo..
Oh! I love how perfectly spaced they all are. 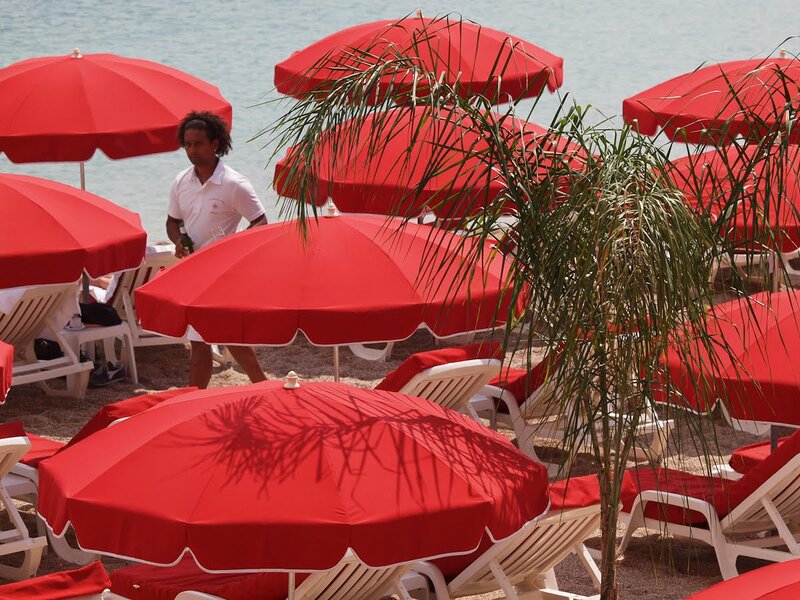 It looks like they actually measured the distance between the umbrellas so they would be just so. Beautiful colors and a great shot. And it looks so inviting too. A perfect capture! Love those umbrellas. You'ave nailed this one, m'dear! The perspective is great, and the 3-D effect that the 'fringe' gives to each umbrella is very effective. Life's a very, very fancy beach in Monaco! Looks very regimented. Not like on the beaches of Spain or Turkey. And the colours too. The same as the national flag. Monaco Grand Prix - Today's the Day!